This set of animated lenticular works represents a world pierced by invisible data streams and clouds of data. These streams hold information that define personal identities of millions of individuals, along with items of commerce and war, all of it warehoused across databases and virtual servers. Though invisible to the human eye, these data clouds are ever-present as an electromagnetic fields surrounding and anchored to us via the handheld computing devices (cell phones) that have become extensions of ourselves. Baiju Parthan’s is a significant figure among the new generation of Indian contemporary artists who use information and digital technology as well as conventional methods to produce art. Having received academic training in Fine Arts, Botany, Comparative Mythology, and Philosophy, Parthan produces a highly eclectic form of inter-media art that successfully bridges the gap between conventional art practices and new media, bringing forth an artistic language that operates within its own niche in the global art environment. 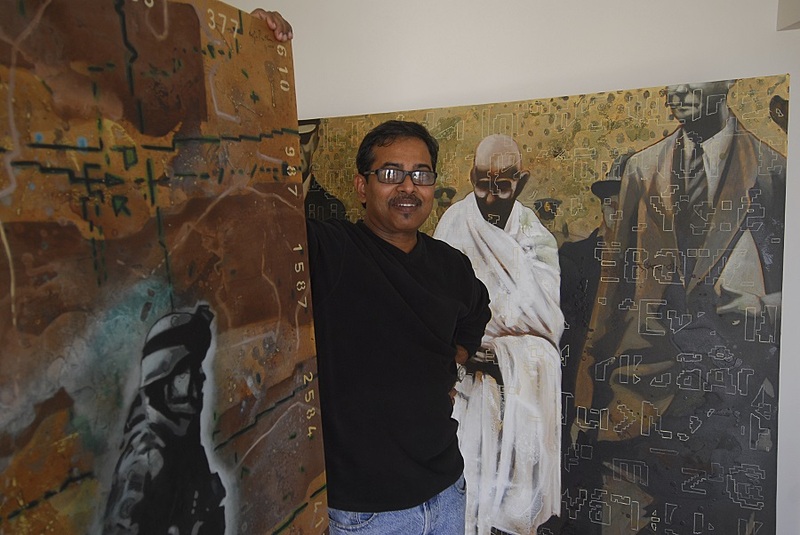 Baiju Parthan has exhibited his art to much acclaim in major centres in India and globally, in countries such as the United States of America, United Kingdom, Japan, Hong Kong, China, Germany, Australia, and Austria.